Birthdays are fine I think. Not sure if you should put your age though. Like you can say the date but not the year and not how old you are turning. I think! Hello, everyone! 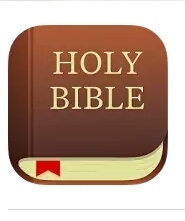 Does anyone have the bible app? So I can become friends with them on that? @Goku_Ironheart Is that okay with you? Which one? Can you send a pic? Here you go, May! @May_Otterview @Goku_Ironheart Is this okay? You version! Is what it is called! Yes! I have that one! How could we be friends on it? Yay! Do you have an account? If so there is like a people button and you can become friends! Also, @Goku_Ironheart sorry for taking about space... but is this okay!?!? @Aethershib_Vestgap1 @Hanna_Brassheart is correct, as long as you don't use your birth year it should be fine. We are mainly trying to protect your age from getting out. No, it is okay. I understand! Mabey my name but nothing else. Hey, @Goku_Ironheart I have an idea. Can we say what type of church we go to? We are not saying our church name just what type of church. Yeah, but you could Google it and it would come up! No, there areally many churches out there with the same type. 100s of each kind. Hey, which is a good thing! HAHA, I am sure there is!!!! I just Googled the name of the church I to and it only showed one. My church!